Although this video is a children's project, it led us to learn everything we wrote about below. For that, we really appreciated it. 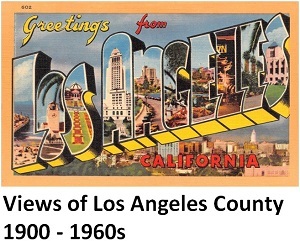 Until about 1960, many places of recreation in Los Angeles County, as those in the rest of the country, were often unwelcoming or simply off-limits to people of color. This included local beaches. There were, however, two Los Angeles County beaches that, for a period of time, had been open to African Americans. In 1912, Willa and Charles Bruce, an African American couple from New Mexico, purchased a beachfront property in the newly-established city of Manhattan Beach between today’s 26th and 27th Streets. Until this time, blacks were not able to visit a beach, much less own beach property in Los Angeles County. The Bruces, however, were able to purchase the beach property because George Peck, founder and developer of Manhattan Beach, ignored segregation policies common to that day (especially along the coast) and set aside land in Manhattan Beach specifically for purchase by blacks. Peck further opened his Manhattan Beach pier and pavilion, “Peck’s Pier,” to black visitors. By 1915, the Bruces (spearheaded by Mrs. Bruce) began developing the property to serve as a beach resort for black visitors. They added a lodging house, bathhouse and dining venue. Peck further helped them build a fishing pier on their property. In 1920, the Bruces purchased additional adjacent property that included a small building. The building was converted into a dining and dance hall. All this attracted black visitors to the community and even brought in new black residents. This did not go over well with at least some white Manhattan Beach residents, who were less welcoming to blacks in their community than was Peck. By the 1920s, increasing acts of vandalism and destruction were made against Bruce’s Beach property. Blacks were harassed if they ventured outside the Bruce’s Beach property. At least some of this was attributed to the Ku Klux Klan, then considered a powerful, mainstream organization. When harassment and vandalism failed to dislodge the presence of blacks in Manhattan Beach, hostile residents convinced city authorities to implement eminent domain actions in January 1924, to ostensibly turn Bruce’s Beach property into a new public park (never mind that a much larger nearby park had already been established). Although the Bruces and other black resident families tried fighting back in court, by 1927, Bruce’s Beach was closed. When the city subsequently attempted to implement new segregation ordinances, the NAACP called for a “wade-in” protest. Although this compelled the city to back down from the new racist rules, authorities began arresting black visitors in a deliberate attempt to harass and intimidate. Almost all charges in these arrests were eventually dropped or overturned on appeal, however, the campaign of intimidation worked and black beach-goers stopped coming. When the last structure on the former beach resort was demolished by the end of 1927, Bruce’s Beach was no more. In 1929, the Bruces and other plaintiffs finally settled against the City of Manhattan Beach and some black families were allowed to purchase other property in the city away from the beach. The Bruces, however, decided to leave Manhattan Beach. Willa and Charles Bruce, undated wedding photo. The Inkwell, as it came to be known, was a 200-foot stretch of beach, between Bay and Bicknell Streets, near the foot of Pico Boulevard in Santa Monica. Beginning in the 1920s, it became the only public beach in the county where African Americans were allowed to enjoy the beach. The Inkwell was located just four blocks south of the Phillips Chapel Christian Methodist Episcopal Church at Fourth and Bay Streets. that was Santa Monica’s first black church, established 1905, and center of Santa Monica’s black community. Ralph Bunche, future winner of the Nobel Peace Prize, took his family to the Inkwell. Louis Armstrong and Hattie McDaniel were beach-goers there. During the 1940s, it was where pioneering African American/Latino surfer, Nick Gabaldon, learned to surf (Gabaldon died in 1951 at age 24 when he collided with the pilings of the Santa Monica Pier). The label “Inkwell” (not unique to Santa Monica, but applied to black beaches elsewhere in the country) was initially meant as a derogatory label for the beach. The label, however, came to be regarded by many as a “badge of belonging” that drew black beach-goers from across the greater Los Angeles area. Even after Los Angeles County public beaches were desegregated, many blacks continued to make the Inkwell their beach. On February 7, 2008, the City of Santa Monica installed a plaque at Bay Street and Oceanfront Walk to commemorate that segment of beach that was the Inkwell and Nick Gabaldon, its most celebrated beach-goer. Monument installed by the City of Santa Monica in commemoration of the Inkwell. Photo by City of Santa Monica.